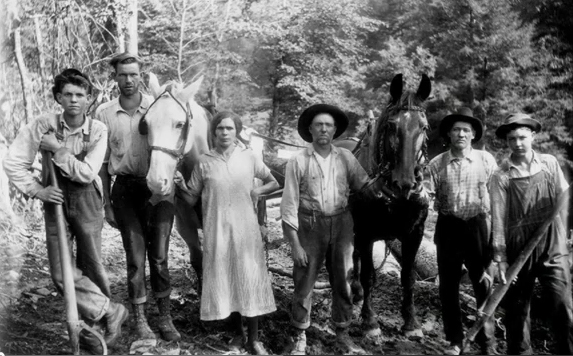 At the turn of the 20th century, West Virginians were described as a lean ‘stomachless’ people. Now West Virginia leads the nation in obesity and diabetes. What changed? And what can we do? Using historic and contemporary photographs, the video outlines two starkly different paths today’s West Virginians can choose. Then in the early ’90s, “we started getting heavier campers,” he said. “We weren’t sure what to make of that.” By the mid-’90s, almost all their campers were heavy. McDowell was watching the national obesity epidemic happen. It began in the mid-1980s, about the time those heavier campers were born. “I’m sure it’s more complicated than this, but convenience food and fast food appeared in Lincoln County in the early ’90s,” he said. Have we always been this way? Have West Virginians always been heavy? Is it our culture? In the early 1900s, magazine writers traveling through the Appalachian Mountains used words like “lean,” “slab-sided” and “stomachless” to describe people they met there, Lewis said. “Today, doctors urge us to get our bodies moving,” he said. “A hundred years ago, nobody needed to urge people to be active. If they weren’t active, they didn’t eat. Until the 1980s, few West Virginians are overweight in archival photos. In the 1960s and 1970s, during the poverty war, Americans got used to seeing pictures of bone-thin West Virginians on the evening news. Only 13.4 percent of Americans were obese then. Nobody was measuring obesity in West Virginia. There seemed no need to do so. Now, one in three West Virginians is obese, at higher risk of diabetes, heart attack, stroke, and other conditions their ancestors didn’t worry about. The price is huge. In 2009, in “The Future Costs of Obesity,” health care economist Ken Thorpe reported that obesity-related diseases cost West Virginia $668 million in 2008. That number will rise to $2.4 billion by 2018, conservatively, he said, if nothing changes. In the late 1970s, Dr. Bob Walker — now state Health Sciences chancellor –worked as a primary care doctor in rural, mountainous Lincoln County. “Families tend to pass a diet down through generations, he said, “and historically, our diet was geared to hard work. Work caused people to burn a lot of calories, timbering, farm work, coal mining, labor of different kinds. “Rural people often got up early and ate an enormous meal, generally biscuits, gravy, eggs, bacon. They’d pack a high-carbohydrate, high-fat lunch in a pail to take with them, to sustain them through the day. In the mid-1980s, Americans — including West Virginians — started gaining weight. On the national obesity chart, the rate stays steady until the late ’80s, then the line zooms upward. 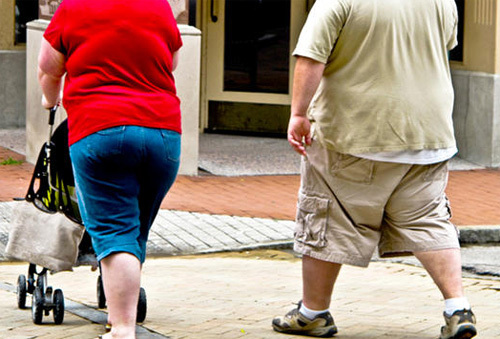 Between 1980 and 2000, national obesity doubled. Processed food: Manufacturers developed cheap calorie-dense, microwavable foods. Food marketing: Food advertising saturated the airwaves. Soda pop: In 1997, the average American consumed 53 gallons of soda pop, a 51 percent increase over 1980. Extra calories: From 1971 to 1974, the average American man took in 2,450 calories a day. By 1999-2000, it was 2,618. Eating out: In 1977-78, people ate 18 percent of their food away from home. By 1994, that was 32 percent. Microwaves: Families and schools quit cooking. Most West Virginians now work lower-activity jobs. In many families, both parents work. In 2009, more than 60 percent of West Virginia high school students got no physical education. Many schools have cancelled recess. In 1969, 48 percent of American children 5 to 14 walked or biked to school. By 2009, it was 13 percent. Computers, TV and other screen activities keep kids inactive. As Americans grew heavier, West Virginians grew heavier faster. Sometime between 1980 and 1992, West Virginia crossed above the national average. Chronic poverty. In counties where more than 35 percent of people are obese, the poverty rate ranges from 20 to 40 percent, compared with 18 percent statewide. Education level. In the heaviest counties, six to 12 percent of people attended college, compared with 17 percent statewide. Environmental risks in water and air. West Virginia University researchers have documented an association between lung cancer, heart disease, and birth defects and proximity to coal mining operations. Isolation. The heaviest counties tend not to be near Interstate highways. As West Virginia’s weight rose, more West Virginians developed chronic diseases associated with obesity, until the state led the nation in diabetes, heart attack, hypertension and kidney failure. Almost every West Virginia county is firmly inside both belts. In the early 1900s, historian Lewis said, West Virginians died mostly of contagious diseases such as tuberculosis, pneumonia and influenza. Today’s killers — diabetes, heart disease and hypertension — were low on the radar screen. Contagious diseases killed people before chronic diseases could. As West Virginia has gotten a grip on contagious diseases, chronic disease rates have risen. “The way we think about eating, culturally, makes a difference too,” Lewis said. Through the first half of the 1900s, West Virginians associated fat and eating with prosperity and health, he said. “When people thought of a fat person, they thought of a rich person.” During the Depression, “eating was even more strongly associated with good health. “Food also has powerful social meaning in our culture,” he said. “West Virginia’s rural history is filled with church socials and community dinners. People show love and hospitality with food. It’s often a gift of sorts, and it’s up to you to show your appreciation by eating a lot of it. “That worked OK as long as people stayed physically active,” he said. Through the ’50s, into the ’70s, he said, “we still had an active culture.” Children still played outside all day. Most rural people raised gardens. By 2008, the average West Virginian was 20 pounds heavier than he or she was in 1998. The diabetes statistics began to climb. “Something went out of balance,” Lewis said. “The way we eat is in some ways a product of our history and culture, mixed with modern advertising,” Dr. Walker said. “That does not suit us well as we move into modern life where we drive a four-wheeler instead of walk up the hill and use a chain saw instead of a crosscut saw. This entry was posted in Diabetes, Obesity/ chronic disease, Stories about individuals, Stories that illustrate research, Video and tagged Video. Bookmark the permalink. The video was worth a thousand words. And Kate your description of the perfect storm..” is so accurate.